Posted on March 24, 2016 at 1:16 pm. 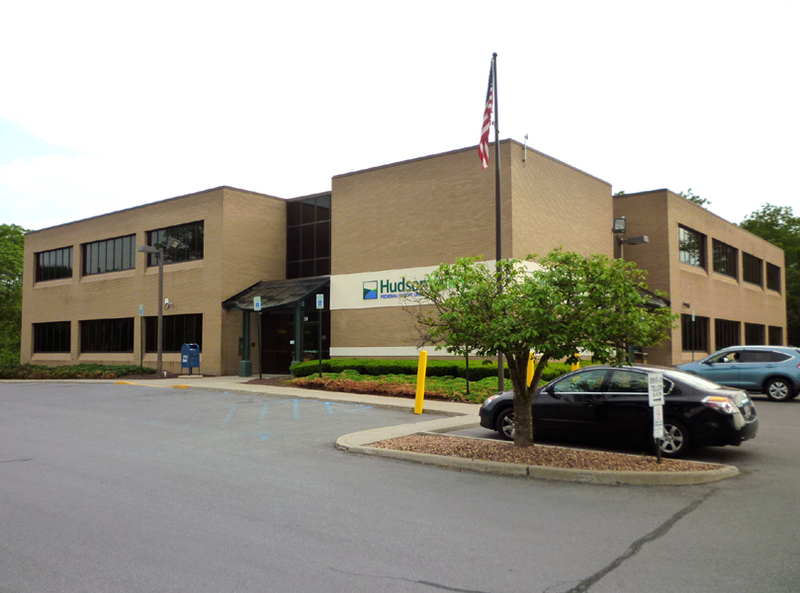 Several Dutchess County, NY physician practices formed Northern Medical Group, PLLC, in late 2015, and proceeded to acquire a three floor 52,000 sf Hudson Valley Federal Credit Union building next to IBM Poughkeepsie. As they developed their business plans during 2015, they engaged Optimus in their search for a building and location. We toured and advised on several buildings including a former law office and a vacant grocery store. The Credit Union offered the best building and site in the best location, but with the challenge of designing around and keeping the Credit Union banking and drive thru teller operations open through construction and for the first two years of the medical office occupancy. Banks are security, communications and customer sensitive and intensive. North Med planned to lease a majority of the main floor and a portion of the basement to Hudson Valley Hematology & Oncology Associates and wanted to accommodate this practice, who was losing their medical offices at the local hospitals. Years earlier, Optimus had designed one of the offices as part of our fit-up design services for the new 84,000 sf Medical Atrium Pavilion at the former St Francis Hospital. This created a severe schedule crunch. As the Owner created their new medical group, Optimus had to fast track the planning, design, and construction, assist with the building acquisition and tenant negotiations, obtain the local permits, and provide daily project and construction management assistance to take the project from start of planning to HVHemonc’s occupancy in less than six months. The original building though well constructed and maintained, was built in 1982 with older less efficient and effective MEP systems and without a sprinkler system. Our evaluation of these systems took place as we designed and pre-bid the construction during December 2015, with partially completed construction documents, and requirements to complete the MEP as Design/Build work. Optimus met several times with the Building Department to acquaint them with the project, our code review and life safety provisions, and to gain their approval for our plans, process and the eventual Building Permit. Construction was awarded in January 2016, effectively starting in February 2016. Design and construction have remained on or ahead of schedule. HVHemonc which includes medical offices, an infusion suite and petscanner suite will open in early May 2016. Meanwhile the Hudson Valley Federal Credit Union has remained open and operating, and pleased with the accommodations provided to them throughout the project. The entire project will be available for occupancy in June 2016.